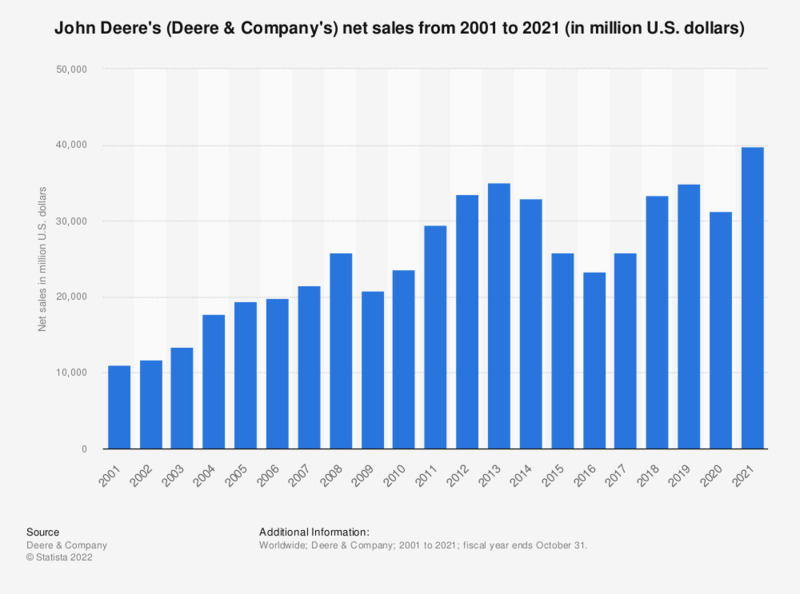 The statistic represents John Deere's (Deere & Company's) net sales worldwide from 2001 to 2018. In 2016, the company had net sales of about 23.4 billion U.S. dollars. The company's net income amounted to about 1,521 million U.S. dollars in that year.